Drinking juice or soda (even diet soda and diluted juice) throughout the day causes repeated acid attacks. Repeated acid attacks cause cavities. Juice and soda pop have a lot of sugar in them and no nutritional value. Replace them with water! When baby breastfeeds or sleeps with a bottle of milk, the sugars stay on the teeth while the baby sleeps. This gives the germs time to attack and weaken the teeth and make cavities. If a baby goes to bed with a bottle, fill it only with water. 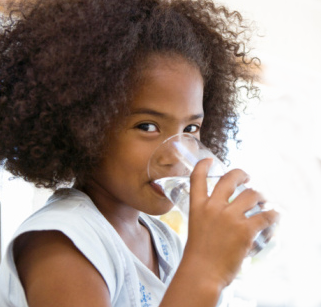 Encourage children to drink water when they are thirsty in between meals and at snack time. This will help prevent cavities.